Kim Kardashian and Kanye West are planning to honeymoon in Venice, Italy alone as that is where they conceived their daughter, North West. They are eager for the reality TV star to get pregnant again as soon as they get married. Kim Kardashian and Kanye West are planning to honeymoon in Italy. The couple are set to tie the knot in a lavish ceremony in Paris in May that will feature on Kim's reality series, Keeping Up with the Kardashians, and while their eight-month-old daughter, North West, will be involved in the wedding, the rapper wants to have a romantic holiday with his new wife alone afterwards. A source told gossip website RadarOnline.com: "Kanye has made it clear to Kim he doesn't want North to come with them on their honeymoon. "She will most likely stay behind at their apartment in Paris with her baby nurses." The 33-year-old brunette beauty, who is planning to get pregnant again as soon as she ties the knot, is eager to return to Venice, as North was conceived there. The insider said: "Kim wants to go back to Venice, where North was conceived so they can start expanding the family. 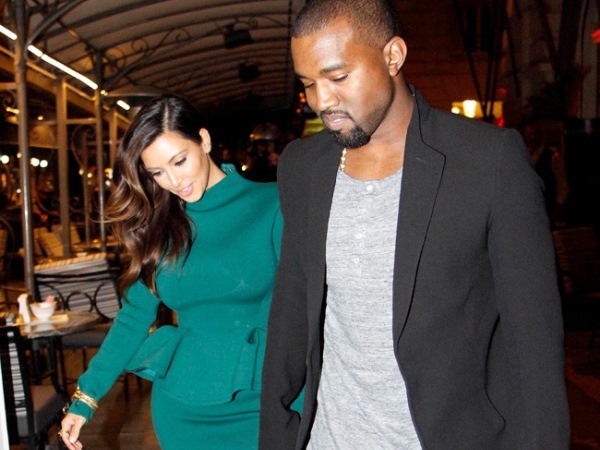 Kim hates to leave the baby behind, but will definitely need down time after the wedding." But baby North will have a big role in her parents' French nuptials. The source said: "Kim is so excited to dress her little girl up with her on the big day. "Everyone knows how unpredictable babies can be, but Nori isn't worrying her parents because she is super mellow, and they aren't concerned about her disrupting the wedding."